ESS 7.5 brings WLAN engineers a better, faster and more accurate way to plan WLANs, with improved tools for defining the RF environment. Improved Planning of Stores and Warehouses – You can now set height of walls and program wall materials (think shelves, for example) into planning, enhancing your prediction accuracy significantly in stores and warehouses. Quickly define cubicles, restaurant seating, etc. – The Attenuation Area tool allows you to quickly define areas with cubicles, restaurant seating, etc. Improved Outdoor & City-Wide Planning – The Attenuation Area tool is great for outdoor planning—You can quickly define buildings of different height, foliage, and the like. 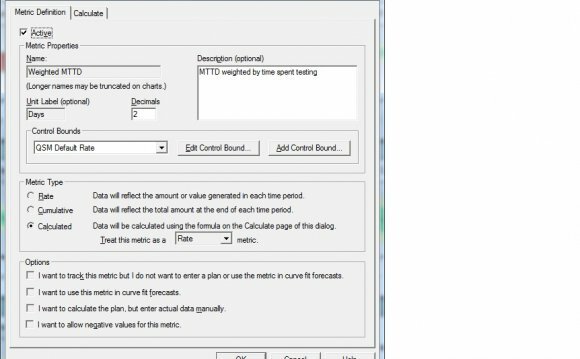 Super-Fast Planning for Budgetary Estimates – Want to get a “rough order of magnitude” estimate on the number and placement of APs in seconds? Just load the floor plans, add an attenuation area over the map (there’s area types like “hospital” and “open office”), and run the Auto-Planner! Previously, ESS would allow you to produce standard layout reports which still needed customization to fit your business template. And you would need to do this for every new report, whichis time consuming for wireless consultants and Wi-Fi engineers. Ekahau Site Survey version 7.5 allows you to create the network report template once, with your own look and feel – and with Ekahau specific tags as placeholders for the heat maps and other report data. 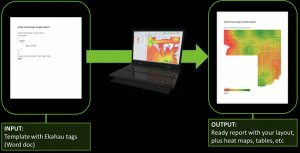 ESS then produces a ready report based on that template, with your images, heat maps, tables, etc. You can create new network reports on the fly, using your stored template. Simple as that. The improved reporting tool also allows for separate 2.4GHz and 5GHz reports and per-AP coverage maps.